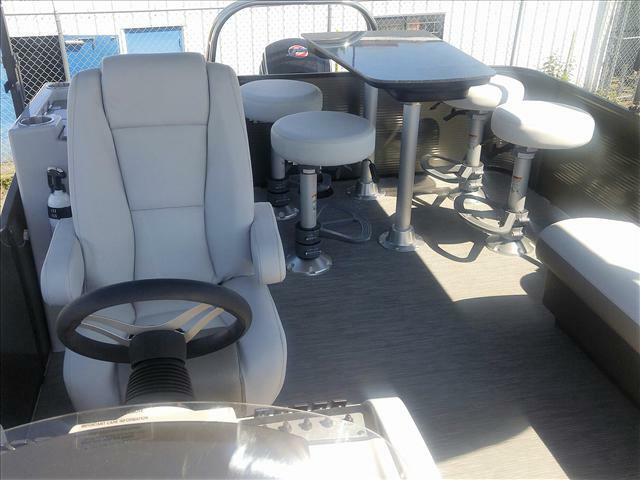 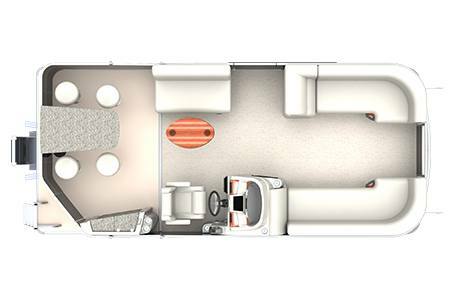 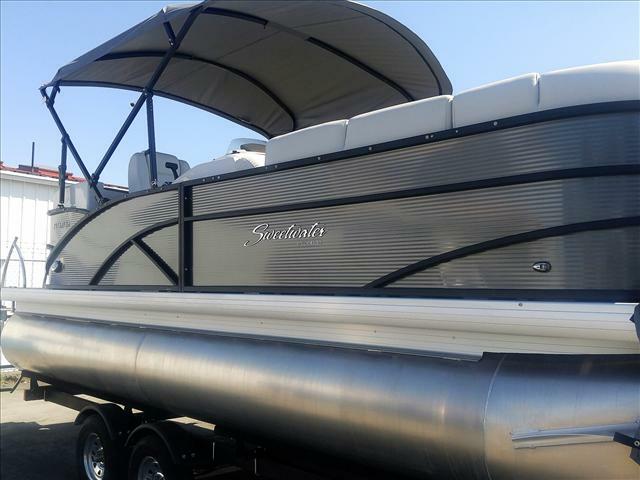 Just one of the many models just received and ready for immediate delivery, this Sweetwater 215 Center Bar is loaded with options, and outfitted for watersports, cruising, exploring and dining with a full grilling station including stainless steel BBQ with granite counter top and table area! 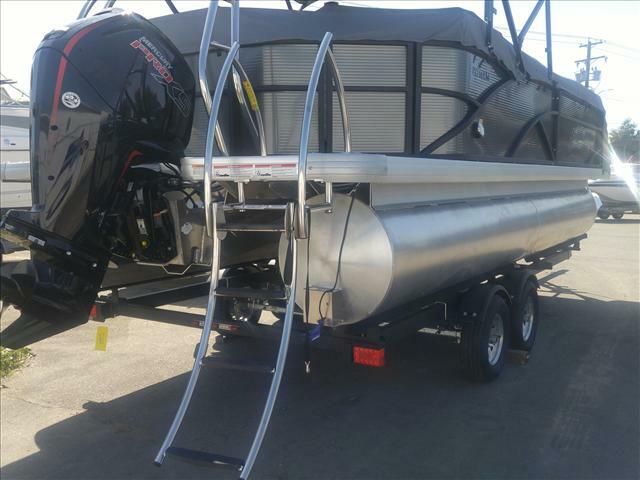 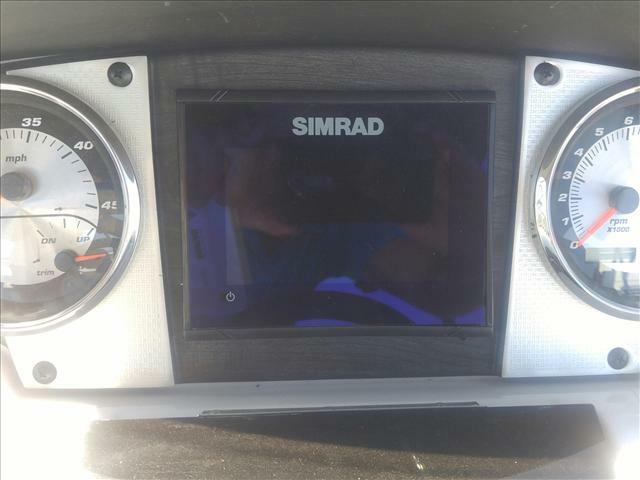 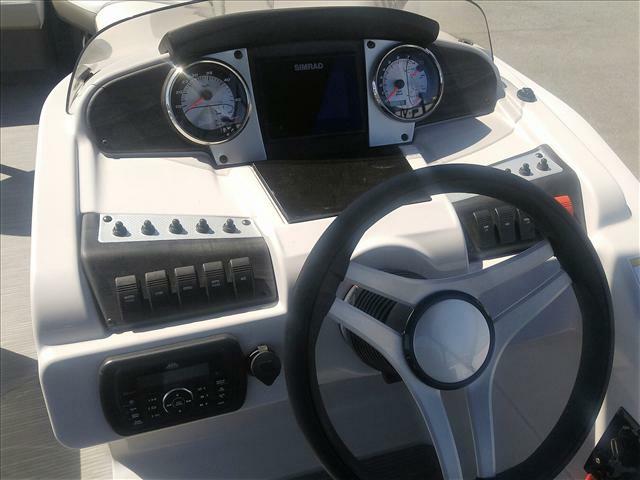 Features 115 hp 4Stroke Pro XS Mercury with hydraulic steering, triple 25" toon sport tubes with full lifting strakes, Karavan tandem axle trailer with quad disc brakes, Simrad touchscreen GPS, mapper, chartplotter with sonar, water temp, speed and more, upgraded stainless steel ski tow bar, upgraded driver's helm seat with slider, recliner and self levelling armrests, LED under seat lighting, bow filler cushion which converts the bow to a U shaped sectional, (can also be moved to the side gate to lengthen the couch), change room with porta potti, rear extended swim platforms with upgraded tow arch, stair style boarding ladder, stainless steel pop up cleats, wicker wrapped seat boxes, lit stereo speakers with upgraded deck USB, Ipod and much more! 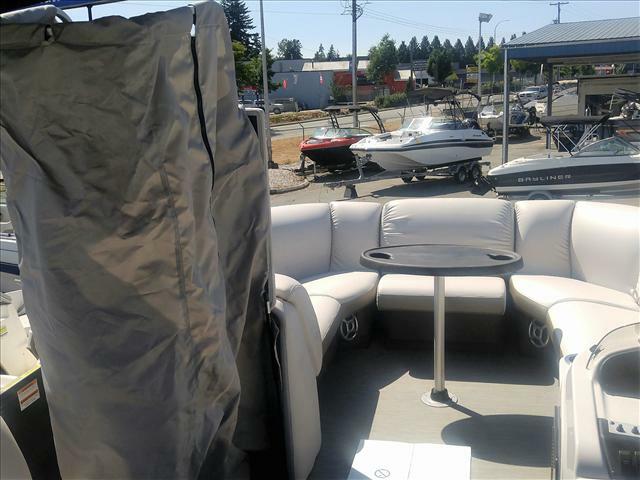 Full boat cover, and bimini cover included. 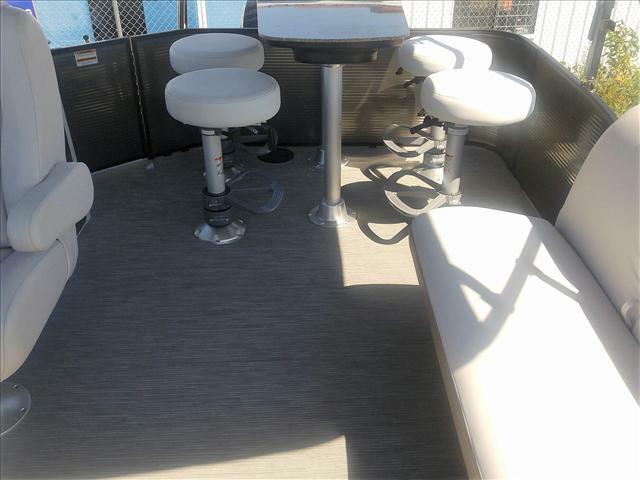 The 4 dining seats adjust side to side, and front to back accommodating kids and adults. 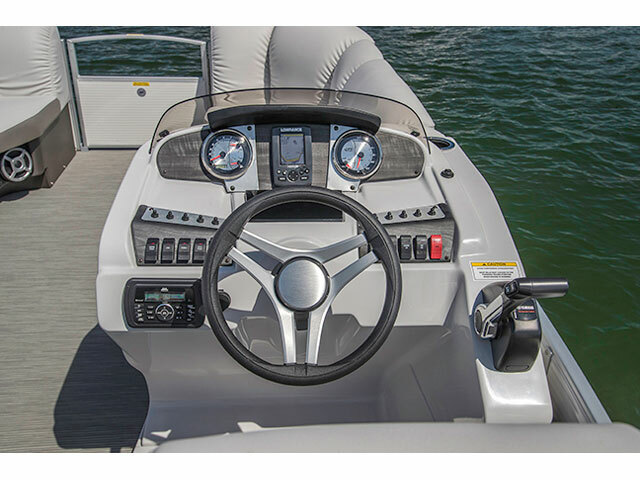 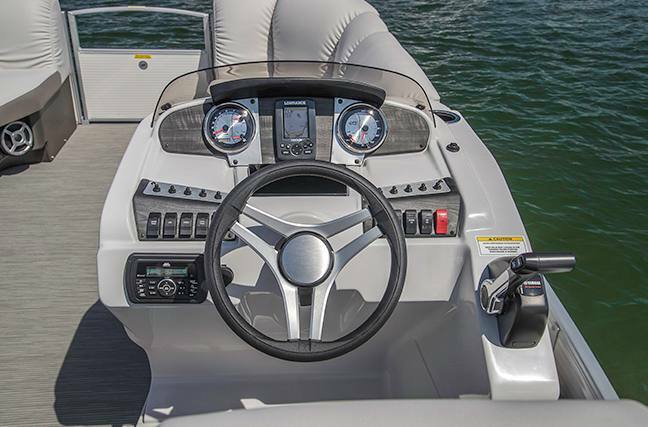 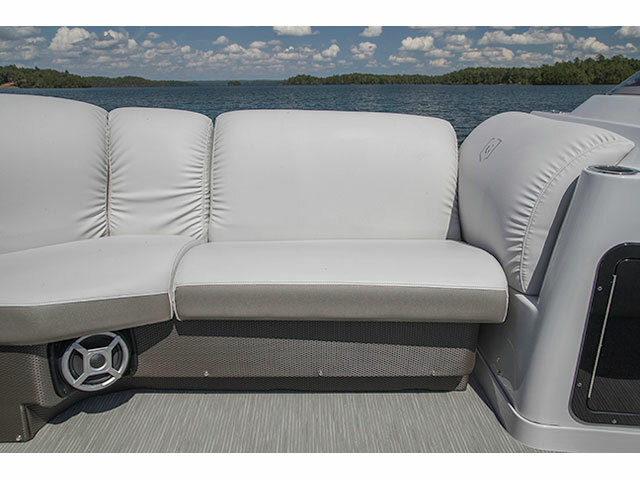 Lifetime hull and deck warranty, lifetime leak warranty and 5 year "bumper to bumper" warranty on all items including stereo, electronics fabric etc is included! 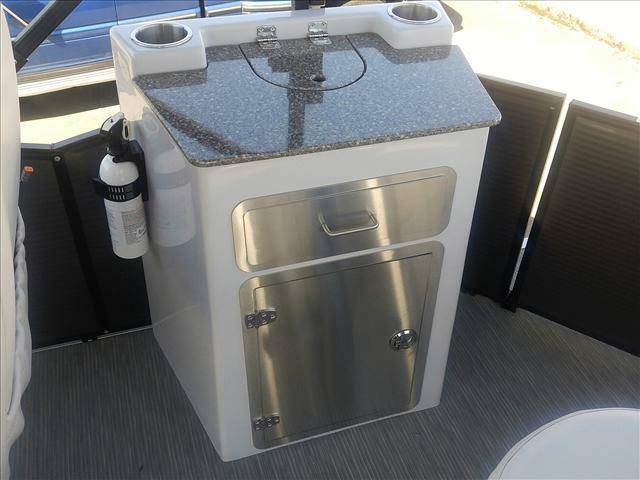 As this model has a porta potti and fixed cooking station, it is legal to consume alcohol on board. 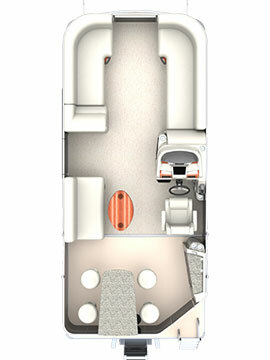 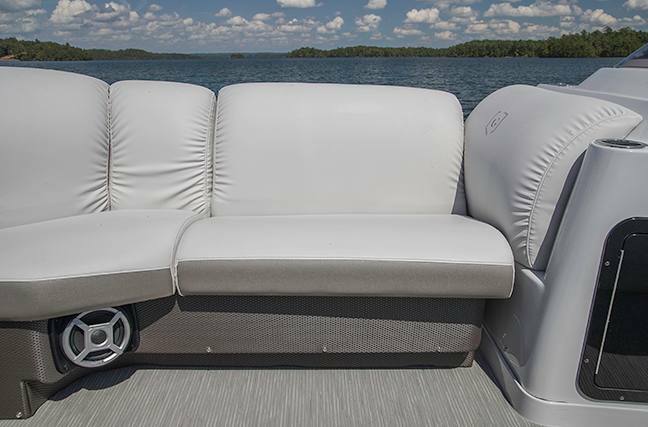 Be on the water with up to 14 people -ready for immediate delivery! 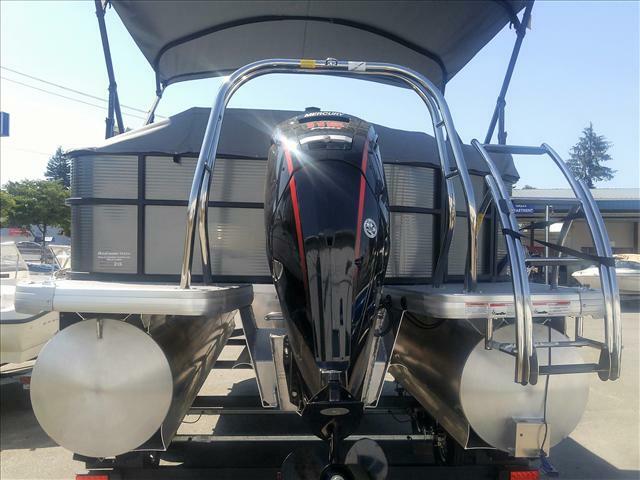 Length (L.O.A. 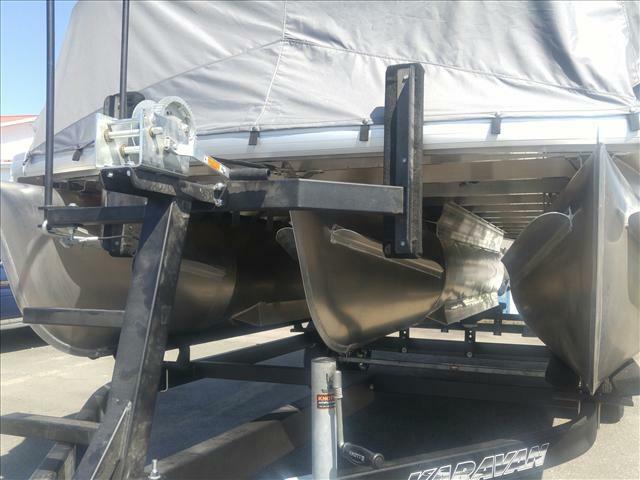 ): 22 ft. 3 in.